It had been so manys years since I had the good fortune of dining at the Belvedere, before the restaurant was renovated to its current state. I remembered the food to be superb, service excellent, but most of all, I felt really comfortable and at ease in its elegant surrounding. 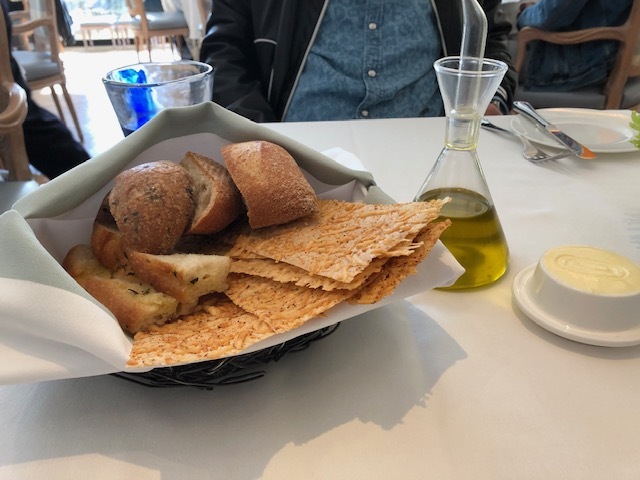 When DineLA came along, I was very thankful that Belvedere was brought up as one of the option – it was a little answered prayer. The updated version of the restaurant looked not too different from what we remembered the place to be. 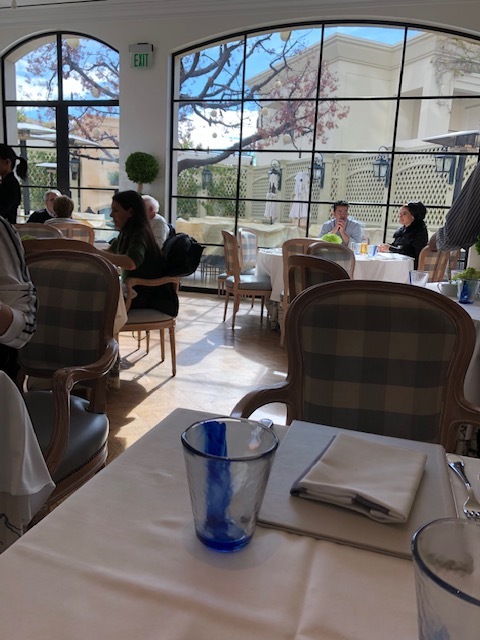 Seemed a little bit more airy, perhaps due to the fact that I was seated facing the large windows with a very serene view of the garden-like setting. This time, however, I did not feel as at ease as the previous. It might had been that the table was a smaller one situated in between two other tables that were placed rather closed to ours. Nevertheless, I did enjoy the people watching part since I could see very much of the whole dining room area from where I was. The food was as good as I had hoped. We both ordered the French Onioin Soup to start. It was probably the only version that I had tasted that was not too salty – I do not understand why every single one I tried in the past had always been extremely salty. 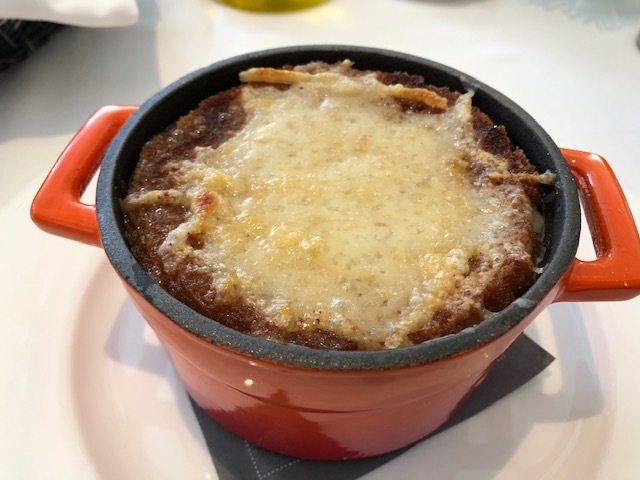 It was rich and flavorful with the largest piece of cheese topping that eventually filled us up so much that I was not even able to finish my entree. 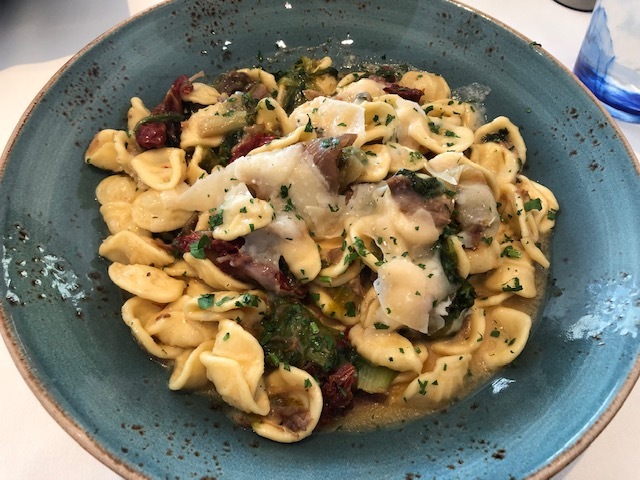 The Duck Confit Orecchiette that I picked, though tasty, had a bit too much pasta in proportion to the duck. 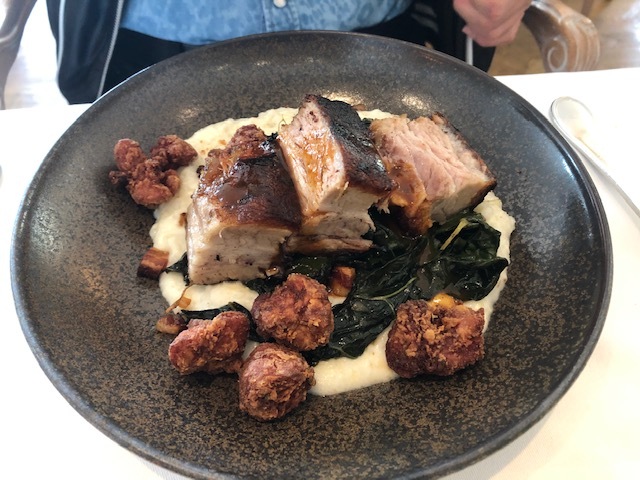 I actually found the Pork Belly with the Sweet Breads to be more enjoyable and satisfying, with the pork reminiscent of the Chinese roasted pork that I so adore. 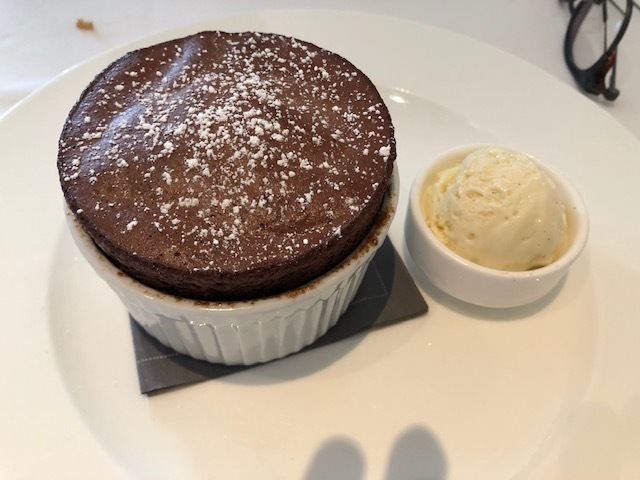 Dessert was a perfect looking Chocolate Souffle of which I did not try since I was not having chocolate for that day. I opted for a simple Vanilla Ice Cream which did provide a soothing finish to a most pleasant and gratifying afternoon.